4 minutes and 28 seconds of your life that you’ll never get back. The “burger that’s crazier than it needs to be, w/fries” looks like a deal at $19. Is it blasphemy to say In-N-Out is a religious experience? According to this article on Buzzfeed, In-N-Out is a religious experience. This must be the “Cheeseburger in Paradise” Jimmy Buffett was singing about. 1. First of all, the burgers, which are handmade by angels. 2. Also, the heavenly, freshly cut-to-order, divine fries. 3. When the burger and fries come together on a tray, you can hear a choir of angels singing in the distance. Hmmm… I wonder where I’m going to take my summer vacation this year? Hint: Probably somewhere with In-N-Out. Please follow @BurgerRodeo on twitter. Maybe we can avoid wars by eating burgers together? 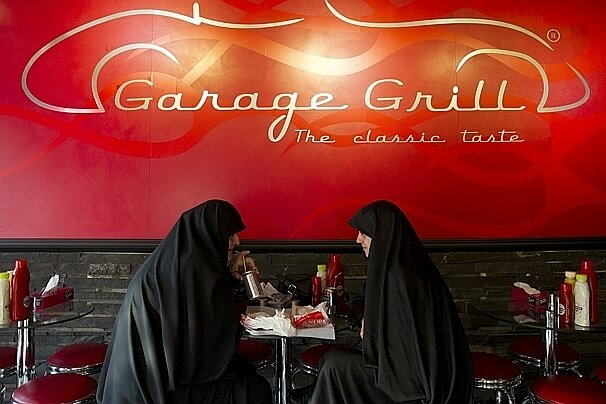 TEHRAN — At the Garage Grill in an upscale Tehran neighborhood, classic rock plays from the speakers, and photos of Paul Newman, James Dean and hot rods line the walls. It could be an old-time American diner, except that its hamburger prices reflect a wealthier target market here. Right next door, Dukkan Burger serves its fare on butcher paper, with plenty of Heinz ketchup and French’s mustard supplied on request. The clientele includes young women clutching designer purses, arriving with their dates in European luxury cars. Greasy burger joints have been part of Tehran’s fast-food landscape for decades, even in the years just after the 1979 Islamic revolution, when any symbol of U.S. culture was denounced as an example of “Westoxification.” Those eateries were mostly in downtown working-class neighborhoods, serving laborers in need of a blast of calories or students watching their budgets. Now, though, high-end burger restaurants are suddenly popping up across the city, making the gut-busting American institution — and the quest for the best burger — the latest trend in Tehran dining. 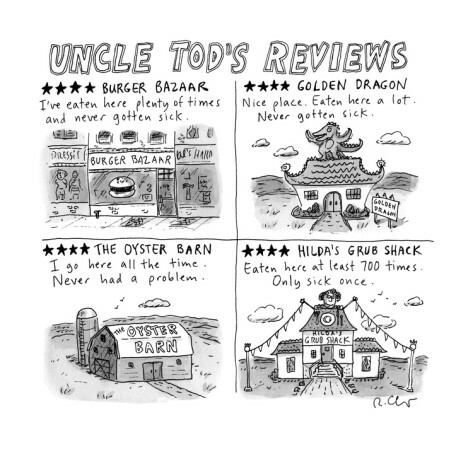 Facebook pages dedicated to local hamburger outlets debate their relative merits, comparing them to McDonald’s, In-N-Out, Burger King and other U.S. chains. That fascination with brands has resulted in such blatant rip-offs as McAli’s, Superstar — conspicuously similar in appearance to Carl’s Jr. — and even a place calling itself Five Guys. It is no coincidence, then, that most of the new hamburger restaurants are in the affluent neighborhoods of northern Tehran, in the foothills of the snowcapped Alborz Mountains — places such as Niavaran, where Garage Grill and Dukkan could dare to open side by side. In 2010, Barobax produced the biggest domestic music hit in recent memory, the wedding staple “Soosan Khanoom.” But the group members say they started Burgerland because there is more money in the food business than in playing music. “Maybe the first and second time people come it’s to see us, but if they didn’t like the food, they wouldn’t come again and again,” said Khashayar Moradi Haghgoo, who owns and runs the restaurant with his bandmates and cousins, Keivan Moradi Haghgoo and Hamid Forouzmand. He said Burgerland regularly sells 1,500 hamburgers a day, more than three times the output of most eateries included in this report. What is wrong with these kids? I suppose if the only burgers that you eat at home are McDonalds and Burger King then you will never appreciate what a good healthy burger tastes like. Virginia school district brings back 26-ingredient burger after students complain about the taste and look of all-beef patties. Kids in Fairfax, Va., have demanded their additives and chemicals, and it looks like they are going to get them. According to a recent story in the Washington Post, Fairfax County Public Schools are pulling all-beef burgers from school lunch menus and replacing them with processed meat after heeding complaints from students. It all started during the 2011-12 school year, when a Fairfax-based advocacy group called Real Food for Kids released a report showing that the school district’s burgers contained 26 ingredients, including a number of additives and preservatives. Parents were outraged, and the processed burgers were replaced with all-beef patties. But at the start of this school year, the school district quietly returned to the processed patty, citing kids’ complaints about the all-beef burger as their reasoning. OK, I get that. But what are the schools going to do if the students complain that math is too hard? Or that they don’t want to learn how to spell? Wouldn’t it have been better to try another option — such as switching all-beef burger suppliers or working with the kids to address their concerns, rather than taking a step backward and bringing back the burger that’s chock full of chemicals? Parents, school officials, and health care providers are supposed to be working together to help kids lead a healthier lifestyle. What does it teach kids when their school officials bring back what is essentially junk food just because the kids say it taste better? Should they switch back to potato chips because those are more popular with students than vegetables? A BURGER believed to be the biggest in Britain has been cooked in Plymouth. Weighing in at 25lbs or more than 11 kilograms with bun, cheese and salad, the monster meal boasts a mind-blowing 25,000 calories. The giant burger is weighed. The beefburger, about 20 inches in diameter, contains as much meat as 50 normal portions. It took more than two hours to cook in an oven because no frying pan was big enough. The burger was dressed with about two kilograms of cheese, about 20 sliced tomatoes and 500 grams of salad leaves. The buns were specially baked. It stands as high as a tall pint glass. The burger was made to celebrate the first birthday of JD’s Grill at Derrys Cross in the city centre. Owner Dave Cossar said the biggest burger they could find which had been previously cooked in Britain weighed in at 6lbs 6oz. He said it would be sliced up and shared by family members and regular customers. Chef patron Justin Meaney and staff at the American-themed restaurant did a trial run a couple of weeks ago to make sure the meal was feasible. It took two of them to carry the record-breaking burger from the kitchen to the restaurant. But the restaurant has some way to go before their beat the world record – the heaviest burger ever made weighed in at more than a ton in a casino in Minnesota last year.